Again splitting in to two teams for Sundays adventures I led Mel, Rich, Tony and Rob for a jaunt in to Swildon’s Hole for a trip to Sump 2, whilst the others headed to Burrington Combe to have a play. 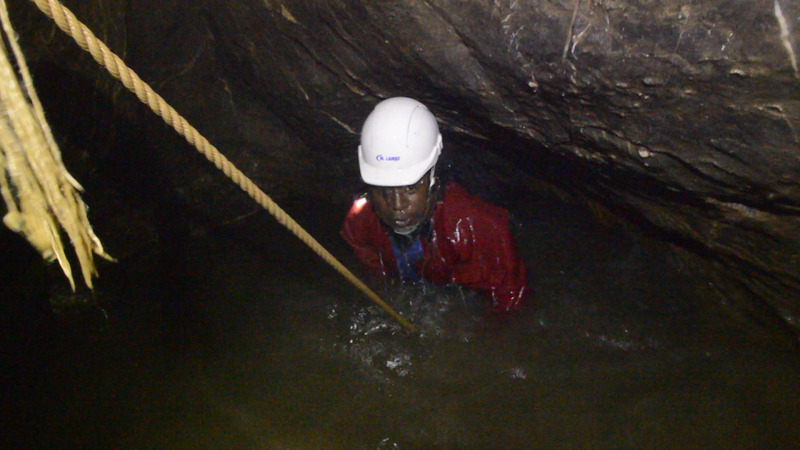 There were a large number of cavers and adventure groups in the upper part of the system so we headed in via the wet route and were all quickly sploshing our way through to the head of the Twenty Foot Pot. A ladder was already rigged so we un-bagged our kit and left it on a shelf in-case the other party exited before us. Whilst I belayed the others down another group arrived and begun chatting with Rob. I heard them ask where we were from and when Rob replied Dudley the other chap grinned and said “Ah the video guys”, he looked over at me and said I thought I recognised you.” Rob just looked blankly at me and then made his way down the pitch. I pointed out the climb up at Barnes’ loop and said we’d descent via the rift and come back over the top. Continuing I pointed out Tratman’s and on to Sump 1. We arrived just as another group were coming through. 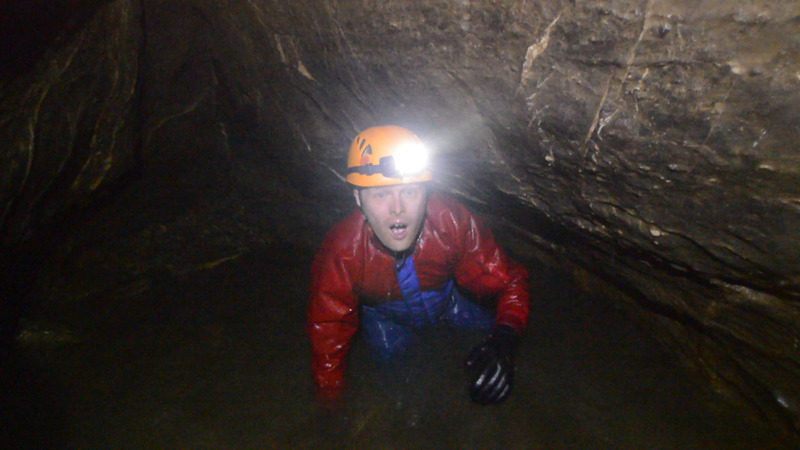 “Excuse me, are you Mark the Caver from the Video’s?” a lady asked. 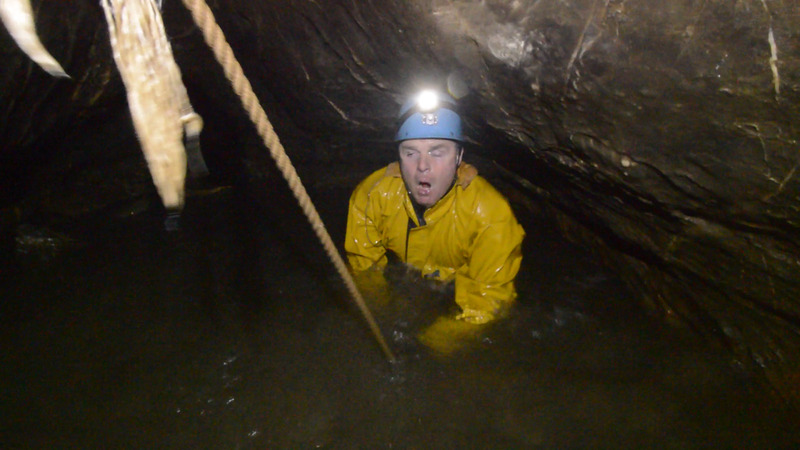 We then went on to discuss how tight Darren Cilau was and if the now famous Caving girdle was real…fame at last…. shame it’s for cross-dressing! After this exchange I explained about the ‘Tight Cave Large Caver Video Series” to the others and that it was because of Mr Edwards Video’s that I was being recognised by these complete strangers. So now it was time for the sump. I explained the procedure and then dove through to take some shots of the others. 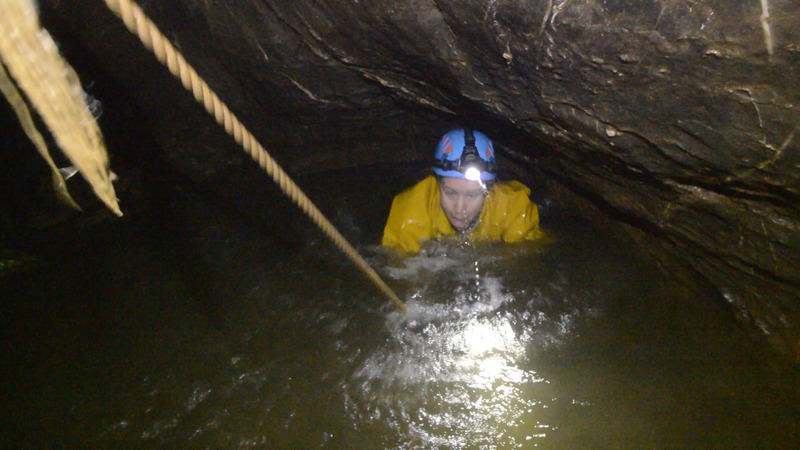 A few of us had a play slipping through the smooth calcite before reversing our route through sump 1 and heading back out. This time I got Rob to lead and he had no trouble till he continued in to the tight rift, missing the climb up at what used to be the old Forty Foot Pot. To round off we all exited out of the tree roots before having a wash off in the stream.